By increasing the rate of Web Systems sizes, other classic methods and styles of software production don't meet the needs anymore. In a big Web System which includes different elements and functions, the organizing method and the relations of these elements with each other and decreasing their complication is the main task of software architectures. 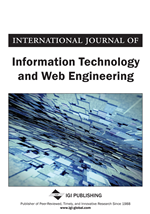 In this paper, the authors are going to use software architecture style which is based on event-driven and relation mechanism based on Message Passing to determine a framework for internal and external structures of Web Systems and their internal parts to modularity increase of system. In fact, the authors try to provide a modular frame for Web System which divides it to two parts of core and broken independent modules and then design a structure according to the architecture based on event driven for these parts. The authors also want to use message exchange method with the structure based on XML to create relation and exchange Information among different modules with each other as well as system core which finally can improve system quality features such as security, modularity, extensibility, reusability and interaction between system haste and modules. Along with systems production based on a concrete and integrated frame, the authors can obtain a suitable efficiency in modular Web Systems. To overcome design and production problems of the system which become more difficult and complicated, software engineers confront different kinds of factors and relations among them which require general view to systems. In systematic view, there are different methods to deal with complications. One of these methods is putting factors and relations in different levels which are software architecture. In this paper, we want to design the principles and a frame of Web Systems as well as a structure based on modules by using software architecture based on event-driven and message exchange relation method. In this architecture style, using procedures is somehow separated from its operation as the applier of a service is independent from the service provider and mainly doesn't have information about it. It is even possible that in a distributed system, these two parts are operating in two distinct processors (Bao & Sun & Trivedi, 2005). In this paper, we use Communication Process style as the subgroup of Independent component. In this architecture style, the general principles and rules of Implicit Innovation Event-Based Systems are almost remained. In this style, each element has a series of operations and events. These elements in a way that several operations are performed to the several events related to the other elements of system to operate on which event had happened. Communication Process style is based on implicit calling which means that a software element create an event instead of calling a method directly and distribute its occurrence in all the system (Chen & Trivedi, 2005). So, software element causes perform some operation by producing an event implicitly. While the element can't determine which processor may be operated. In this architecture style, the main emphasize is on the message exchange among software elements. This feature causes that the concepts such as event occurrence and general distribution of its occurrence have a clear meaning .Event occurrence means receiving a message to a software element. For general distribution of its occurrence, it can be distributed among the other elements through one of the message relation protocols (Chen & Trivedi, 2005; Ramasamy & Schunter, 2007).We design the fundamental elements of Web System in a way to adjust a message involved necessary Information to make relation with other modules in a message frame based on XML structure rather an element or module propose to make relation with other module directly. Then, it can send the message to the available event bus in the core. System core is distributed generally throughout the system and among modules based on its security decision. The available Event bus in the system core acted based on Event processing as the messages which exchange between system core and modules has determined and standard structure in total system. As soon as a message enters to Event bus, the system core stimulates a similar event with the received message and distributes it generally (Bao & Sun & Trivedi, 2005; Chen & Trivedi, 2005; Ramasamy & Schunter, 2007). Due to the above structure for the system core, the outer modules and the elements of the core must be situated in a way that can adjust and communicate with it. To do so, we also design a standard Interface for Web System modules as when module are installing, the Information related to the access is recorded in the available registry module of the core. Then, the system core will use the standard Interface which has the access to the Information to communicate. This Interface includes an Event Processor and the necessary buffers to the sent and received messages to module. It enables module to communicate with the external environment without external environment effect on the internal structure (Chen & Trivedi, 2005; Fahndrich et al., 2006).As noted earlier, to exchange Information among modules, we use a structure based on XML which has high flexibility and processing speed. In message exchange procedure among them, a module may reply to the received message. Consequently, it regulates the reply in a standard structure and almost similar to the sent messages structure and then sends it to the determined module (Ramasamy & Schunter, 2007). It causes more integrity between modules and internal elements of Web System and request and responses structure. The main features of the proposed method indicates the simplicity of implementation, easy expandability, reliability, remote access and the lack of necessity of synchronization among modules That we can achieve to an acceptable efficiency in modular production specially web-system as one of the indivisible and main element data-center organization by regarding and changing minor points (Chen & Trivedi, 2005; Ramasamy & Schunter, 2007; Fahndrich et al., 2006).